Compliant with DP Interoperability specification V1.1a. Support full DP link training. 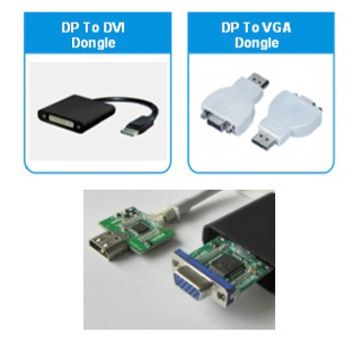 Compliant with DVI 1.1 specification up to 1.65 Gbps. ESD protect: Human Body Mode at 8 kV, Machine Mode at 400V, and Charged Device Mode at 2 kV.